Our Jumbo Wide Retractor is on sale now through August 6, 2016. 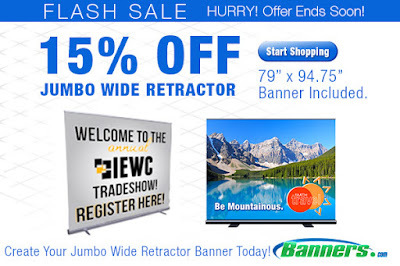 Just mention promo code "JumboWide2016" to get 15% off the banner stand. Visit our website to get started on your order. 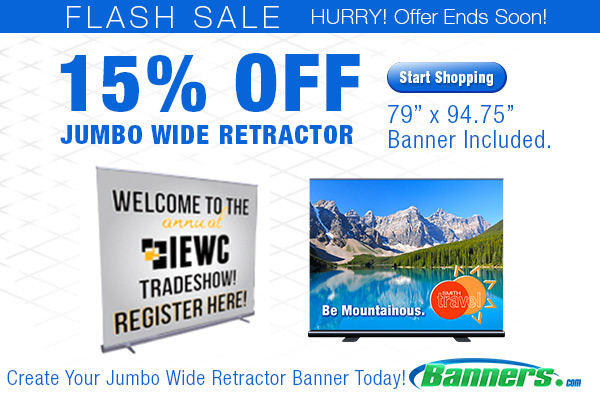 Our Jumbo Wide Retractor is the perfect banner stand for trade shows and events. The banner stand includes a printed banner that is 79" high by 94.75" wide, the banner stand hardware, and a soft carrying case. Visit our website to get started on your order today!